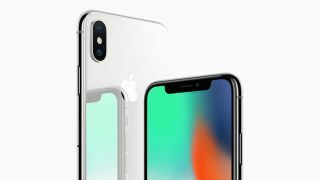 Well before the iPhone X was officially unveiled, we'd heard plenty of rumors that Apple was struggling to make as many as it needed – something that's backed up by the delayed pre-order dates of October 27 and November 3 respectively for the most expensive of the company's new iPhones. Now well-known KGI Securities analyst Ming-Chi Kuo says it won't be until well into next year that Apple manages to churn out enough iPhone X handsets to keep up with demand, based on an investor note seen by MacRumors. Ming-Chi Kuo cites "supply constraints" as the reason why Apple can't make these fancy iPhones fast enough, and the word on the Apple street is that it's to do with those premium OLED screens the company is sourcing from Samsung. Apple recently invested in an LG OLED facility as well, presumably to boost supplies of the displays. The KGI Securities analyst does say that he expects around 40 million iPhone X units to be sold and shipped before the turn of the year, with that full-screen design and facial recognition the key features driving Apple loyalists to upgrade their handsets. According to the investor note, the later pre-order date for the higher-end 2017 iPhone was to help get iPhone 8 and iPhone 8 Plus sales off to a healthy start, with the desirability of the iPhone X meaning that Apple could hold off putting it on sale a little longer. All of which means if you want to lay down $1,000 or £1,000 on an iPhone X, you need to be on the ball when pre-orders open on the morning of October 27. It's not clear exactly what time pre-orders will go live on that date, but keep your eye on our dedicated iPhone X pre-order page for more details on that and help getting the best deal.